The landscape of the men’s 400 IM has changed over the course of the last number of years. An event historically dominated by Americans, the rest of the world has recently caught up. Michael Phelps hasn’t swum the 400 IM at the world championships in eight years and never will again, and Ryan Lochte hasn’t seriously competed in the event since the 2012 Olympics. Those two, along with Hungarian Laszlo Cseh, have dominated the event for the last decade. Now with all of those swimmers focusing on events 200m or less, the door has opened for other swimmers to establish themselves. Japan’s Kosuke Hagino broke out with a bronze medal at the 2012 Olympics (beating Phelps) and has since excelled. He has been the fastest swimmer in the world for the past three years, but is out of the world championships due to injury. This makes the event even more wide open, with names like Lochte, Phelps, Cseh and Hagino absent. The times in the event have stayed in relatively the same area throughout the last eight years, with 4:06-4:08 winning the world title. I expect a 4:07 will win the gold medal and a 4:09 should be enough to stand on the podium. Japanese swimmer Daiya Seto surprised everyone when he swam out of countryman Kosuke Hagino’s shadow and won the 2013 world championship in the 400 IM. Despite winning the 2012 short course championship over some big names, Seto was still a relative unknown. In Barcelona, Hagino had a daunting schedule that saw him final in all six of his individual events, and that ultimately cost him what might of been a gold medal in the 400 IM as it fell on the last day and Hagino simply ran out of gas in the final 100m. Seto jumped through the door of opportunity, catching Hagino on the breastroke leg and swimming to victory on the freestyle. He swam a 4:08.69 to win in Barcelona, but didn’t see the same type of success throughout most of 2014. He had a couple disappointing performances at the Asian games where he finished 3rd (4:10.39) and the Pan Pacific championships where he finished 5th (4:12.77). In December of 2014 he showed that when the moment is biggest he shows up. 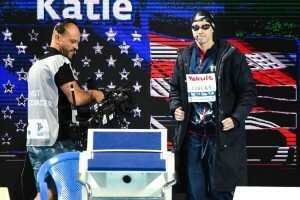 After a disappointing long course season, he won gold at the short course world championships by almost five seconds over Hagino, and challenged Ryan Lochte’s world record of 3:55.50 the entire race, ultimately falling just short in 3:56.33. That dominant performance showed Seto had rebounded from the long course season and that when a world title is on the line he will be ready to go. After his performances at the previous long and short course world championships, and an absent Hagino, Seto is the clear choice for gold in Kazan. He is ranked 2nd in the world this year behind Hagino, and will look to improve upon his personal best from Barcelona two years ago. After his performance in December, I feel Seto will be faster than he was in Barcelona and swim a 4:07 and take the title. He will have many challengers, including some top names who defeated him in meets last summer, but Seto has proven himself on the world stage and will do so again this summer. After Michael Phelps eliminated the 400 IM from his schedule after the 2008 Olympics, Tyler Clary immediately saw the opportunity and took his place on the American national team. 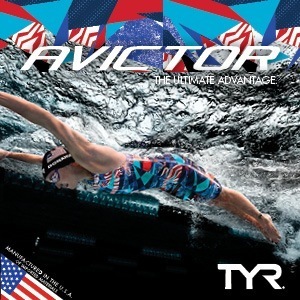 After finishing 4th at the 2008 Olympic trials (4:14.13), Clary broke out at the 2009 nationals finishing 2nd to Ryan Lochte going 4:06.96, which made him the 4th fastest performer in history and saw over a seven second improvement from the year prior. After that performance he saw some international success, with silver medals at both the 2009 and 2011 world championships, as well as a bronze at the 2010 short course championships. 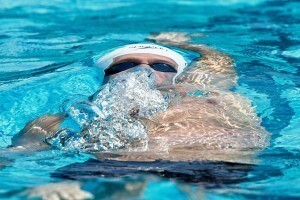 Clary then saw Phelps take his spot at the 2012 Olympics when Phelps decided to add the 400 IM to his Olympic program, moving Clary back down to third on the American depth chart. Clary did have his breakthrough performance at those Olympics in a different event, with a surprise gold medal in the 200 backstroke. Since then, Clary has regained his spot on the national team in the 400 IM with a 4th place finish at the last world championships and a silver medal at last summers Pan Pacs. Clary has proved his ability to swim at the top of the world when the championship meets come around, and will have a very good shot at medalling this summer. Clary is one of the toughest swimmers out there, and will do anything and everything to get his hand on the wall. He was ranked 2nd in the world to Hagino last year. This year he is ranked just 23rd in the world, but Clary has historically never swam fast in-season, and can be expected to get back down to the level he was at last year. I don’t think anyone will get by Seto, but I expect Clary to have a stronger finish than other top contenders Chase Kalisz and Thiago Pereira that will get him the silver medal. Like Clary, Chase Kalisz benefitted in a big way after Phelps and Lochte stopped competing in the 400 IM after the 2012 Olympics. Coming off an NCAA title in the 400 yard IM, Kalisz qualified for his first world championship team in 2013 and went onto win silver (4:09.22) in Barcelona in the 400 IM, just half a second behind champion Daiya Seto (4:08.69). He had another big year in 2014, winning his second consecutive NCAA title in the 400 IM, breaking the American record previously held by Tyler Clary in the process (3:34.50). He followed that up with another successful summer, which included qualifying for his second world championship team and a bronze in the 400 IM at the Pan Pacs in Australia. Kalisz had a disappointing NCAA’s this year, as he wasn’t able to win his third consecutive 400 IM, losing out to Texas Longhorn Will Licon. However, that was most likely just a bad swim, and not indicative of his form for 2015. 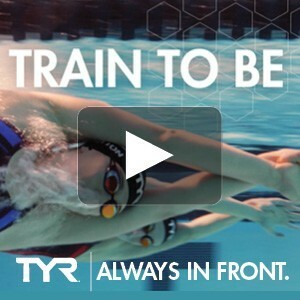 Back training with Bob Bowman and Michael Phelps for the summer, expect Kalisz to be ready to swim fast come August. He is ranked 16th in the world this year with a clocking of 4:14.56, but as mentioned in previous articles the American swimmers haven’t had a qualifying meet this year, and haven’t had a competition in which they needed to rest for. 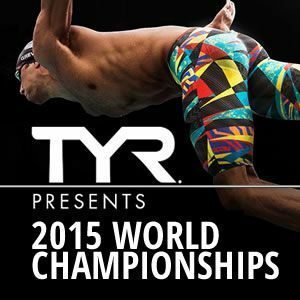 I fully expect Kalisz to be on form at the world championships, and will contend for a medal. After consecutive 4:09 swims the past two summers, look for him to push his personal best down to a 4:08-high and battle Clary and Pereira for the minor medals. Kalisz also has the benefit of being fresh and 100% rested even though he is racing on the last day of the meet. The men’s 400 IM is his only event of the meet. The other swimmers in the field will be tired and may lack the energy needed to hold off a fresh Chase Kalisz, just as we saw in 2013 with Kosuke Hagino. Both Clary and Kalisz will have their work cut out for them come the 2016 Olympic trials, as many young Americans are posting fast times in the 400 IM this season, such as Jay Litherland (4th in the world), Josh Prenot (7th in the world), and 2015 NCAA champion Will Licon. And of course we can never count out defending Olympic champion Ryan Lochte, who is capable of swimming anything come 2016. After a lot of success early in his career in the 200 IM, Brazilian Thiago Pereira has seen an increase in success in the 400 IM later on in his career. After an 8th place finish at the 2008 Olympics and a 4th place finish at the 2009 world championships, Pereira came through with the silver medal at the 2012 Olympics, followed by a bronze at the 2013 world championships. Absent from any major competitions since 2013, he was ranked 24th in the world last year and 12th this year. However, with the Olympics being held in his home country next year, we know he has been training hard and will be on good form in Kazan. He has incredible talent in all strokes, but the freestyle is where he is weakest and that is where I suspect faster freestylers such as Clary and Kalisz may sneak by him for the medals. Nonetheless, expect Pereira to be in the fight for a medal position. He is competing at the Pan American games this week, which will be a good indicator to see what kind of form he is in. Yang Zhixian of China has been a top ranked swimmer in the 400 IM each of the last two years. After a 12th place finish at the 2012 Olympics at just 20 years of age, he has held top rankings in 2014 (4th) and 2015 (8th). He had an impressive performance at the 2014 Asian games winning silver and beating defending world champion Daiya Seto. Look for another strong showing from Zhixian again this year as he looks for his first world championship final. Haung ChaoSeng is the other Chinese swimmer in the field and will look to make a name for himself as well in Kazan. 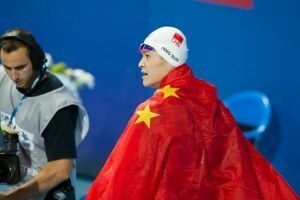 Swimming at the 2012 Olympics at age 20 just like his teammate Zhixian, ChaoSeng had a 12th place finish in the 400 IM. He has shown vast improvement since then, taking 5 seconds off his time, and has been ranked 6th in the world each of the last two years. ChaoSeng’s personal best time happened at the 2014 Asian games, where he finished 4th and swam a 4:10.49. Both Zhixian and Chaoseng appear to be on the upswing and should give China two swimmers in the championship final. David Verraszto of Hungary has taken over for Laszlo Cseh as the top Hungarian in the 400 IM. He has finished 6th at each of the last two world championships in 2011 and 2013. His best season yet came in 2014, which saw him win the European title and take home a bronze at short course worlds. He has further improved in 2015, and is ranked 3rd in the world with a clocking of 4:11.28. Look for Verraszto to make his third consecutive world championship final. British swimmer Dan Wallace has had some strong performances the last few years in the 400 IM. After a surprise final at the 2013 world championships where he finished 7th, Wallace was the Commonwealth games champion in 2014. He was ranked 8th in the world last year and this year has improved up to 5th. His personal best is 4:11.04 from 2014, and will need to improve upon that if he wants to improve on his 7th place finish from two years ago. Australian Thomas Fraser-Holmes is my darkhorse pick for the 400 IM, which may seem surprising as he seems like a good bet to final in the event. The thing with Fraser-Holmes is you can never be sure what type of performance he is going to put forth. On multiple occasions we have seen him have strong prelim swims in the 400 IM only to have trouble executing come the final. For example, at the 2012 Olympics he finished 5th in the prelims and then ended up 7th in the final, going slower. A better representation of this is the 2013 worlds, where he added almost three seconds prelims to finals, finishing 8th. He had improved performances in 2014, as he finished 2nd at the Commonwealth games and 4th at the Pan Pacs. 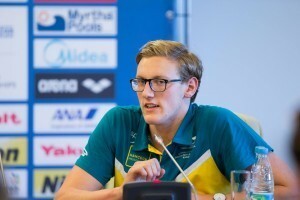 Even this year at the Australian championships Fraser-Holmes was expected to qualify in the 200 and 400 freestyle after a strong 2014 in those events, and failed to do so. His chances of making the final in Kazan are still fairly good, especially because this is his only individual event, but I still view him as a wild card. He is ranked 13th in the world for 2015. Others to watch for in this event include Federico Turrini of Italy, Roberto Pavoni of Great Britain, Sebastien Rousseau of South Africa and Jacob Heidtmann of Germany. James, you can most assuredly “scratch” your Dark Horse (Fraser-Holmes) from calculations. Even at his best, his weakness on backstroke rules him out but the Fraser-Holmes 2015 Vintage is a chronically mis-firing engine who is seconds off his 2014 times in all events. 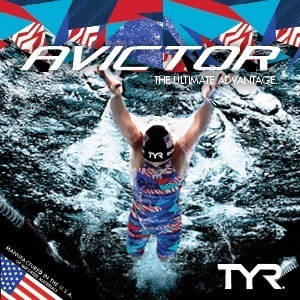 USA takes gold and silver with Tyler Clary over Kalisz. If Tyler Clary has a two and a half body length lead after backstroke, it’s all over. If tyler Clary has two and a half body lengths lead on backstroke then daiya seto will catch and overtake him on breaststroke.